The much awaited trailer of Varun Dhawan's Judwaa 2 is finally here and Twitter just can't keep calm. "Love the Judwaa 2 trailer. There's oonchi hai building, tan tana tan and so many 90s feels. My day just got better," read a tweet. 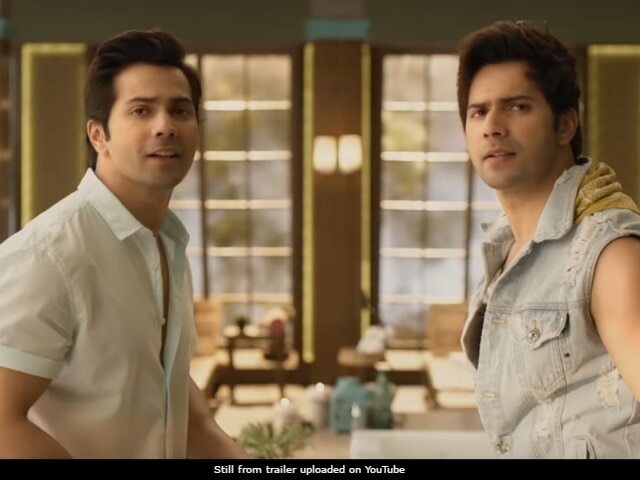 Apart from a double dose of Varun, the trailer also offers snippets of the revamped version of the two songs - Oonchi Hai Building and Tan Tana Tan Tan Tan Tara - the ones which originally featured in 1997's Judwaa. Karan Johar quickly reviewed the trailer and tweeted: "Box office Dhamaal! David Dhawan nails the genre like no other can... congratulations to Varun Dhawan." Taapsee Pannu, who has previously starred in films like Naam Shabana and PINK, features in a renewed persona, and her onscreen character will make you gape for sure. "I am changing gears with a something high-octane film, Judwaa 2. In an interview earlier this year, Taapsee told NDTV: "It can't get more commercial than this. I can't wait to see how people react to my glam avatar." Jacqueline Fernandez also joins the cast of the sequel to the original Salman Khan film, which was also directed by David Dhawan, the one who helms this part. The trailer starts with Prem, the gentleman version of the two judwaa brothers, experiencing certain undetectable symptoms, which later turn out to be a premonition for what happens in the trailer next - Prem meets his bichhra hua judwaa bhai Raja and the two cook up a storm in no time. Those who were waiting to catch a glimpse of the 51-year-old superstar in the trailer will be disappointed. Salman Khan will reportedly appear as both Raja and Prem (who have aged by 20 years now) in the climax sequence. The trailer of Judwaa 2 also feature Anupam Kher and Vivan Bhatena, who plays the antagonist. Judwaa 2 is scheduled to hit screens on September 29.